This thesis approaches the problem of non-photorealistic rendering by identifying segments in the image plane and filling them using algorithms to render in artistic styles. 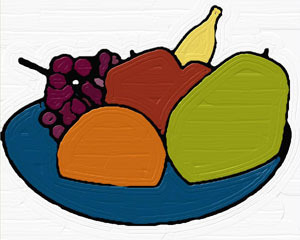 Using segments as a 2D primitive for non-photorealistic styles is a natural extension of techniques artists often implicitly employ for purposes such as abstraction of unnecessary detail. The problem of segmenting an arbitrary 3D scene in a 2D view using geometric scene information is presented, and a solution based on spectral clustering is proposed. With an acceleration technique, segmentation can be performed in near real-time for interactive, artistic environments. This approach is automatic beyond the setting of segmentation parameters by a user, and it can be extended to temporally coherent non-photorealistic animation by segmenting adjacent frames together. A number of artistic rendering styles are applied within this segmentation framework to demonstrate the effects that such a system makes possible.